Did you know that I LOVE birthdays?! Turning the big 3-0 last year sucked big time but I was feeling really good about turning 31. I kicked off my Birthday Week with a special Monday night RuNGuac with Allison, Stacey, Gary, Jason and Danielle! I debated all day if I should go or not—I mean it WAS a work night!—but a possible Tuesday storm and a little push from my coworkers and afternoon clients made me go. I mean who could turn down RuNGuac? We all met at 6pm for a 4 mile run in Falmouth then it was off to Anejo for all the chips and guacamole we could eat… along with sangria, dinner and fried ice cream, of course. I was stuffed. There was huge storm predicted for Tuesday but it ended up being absolutely nothing but a little wind on Cape Cod. Patients were cancelling appointments all day long no reason. The gym was dead. I had a super small (but fun!) spin birthday party class in the morning and ended my day with the first of six Intro to Spin classes. The weather was ok on Wednesday but it was still really windy and I left my watch at home so I ended up on the treadmill for my 4 mile run. I did a little Fartlek mixing it up with 0.1 mile and 0.2 mile intervals at 9.0 mph with warm up, recovery and cool down all at 7.5 mph. Eric gave me a new workout and I was quite proud of myself for making it through 3 sets. 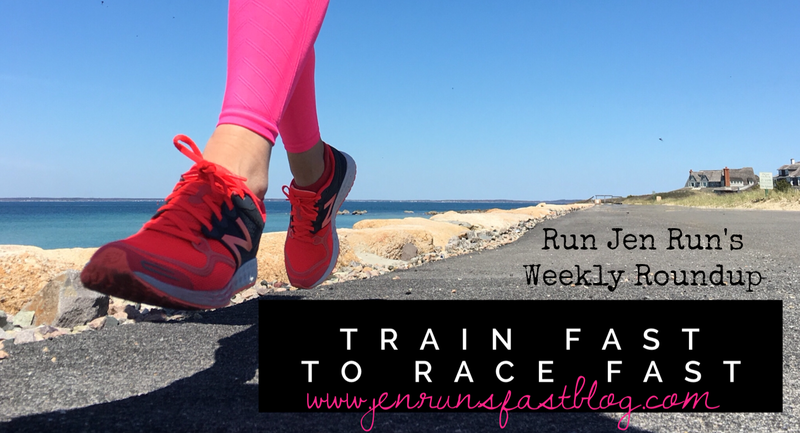 I worked Friday morning then had to run some errands in Falmouth for work so I stayed in Falmouth to get in my long run. 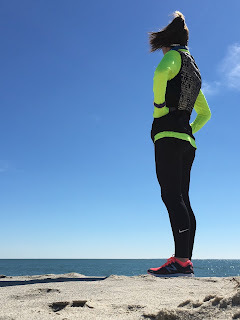 The sun was shining, the wind was whipping and I just tried to stay as comfortable as I could for 10 miles. Saturday morning I woke up a day older! I had 4 miles on the schedule so I brought Georgie out for a bit then finished the rest on my own. I showered then headed to my parents for Birthday Brunch!! I really just wanted an excuse to drink mimosas—my favorite! We also had French toast casserole, bacon and fruit salad, oh my! It was a great day. 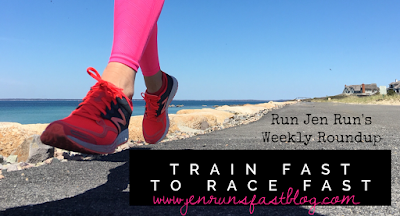 · 4 weeks until the Newport Rhode Race! 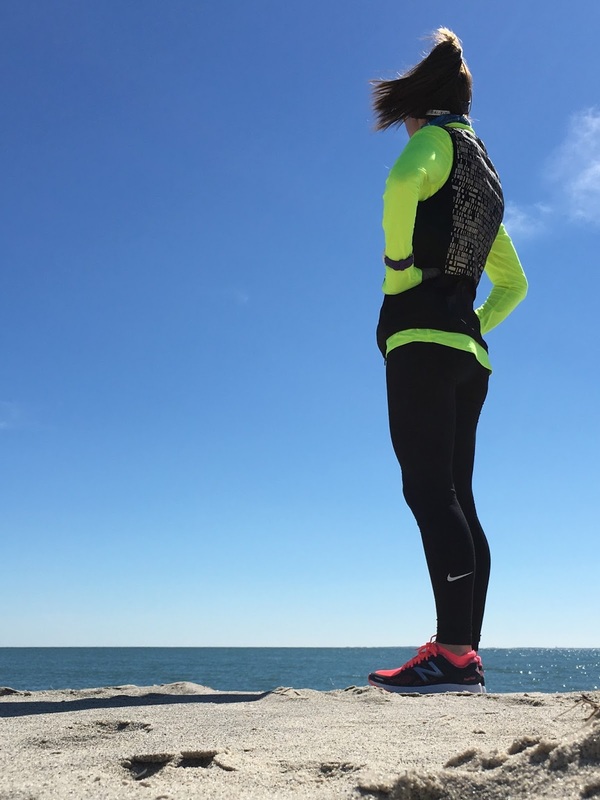 · 10 weeks until the Buffalo Half Marathon!